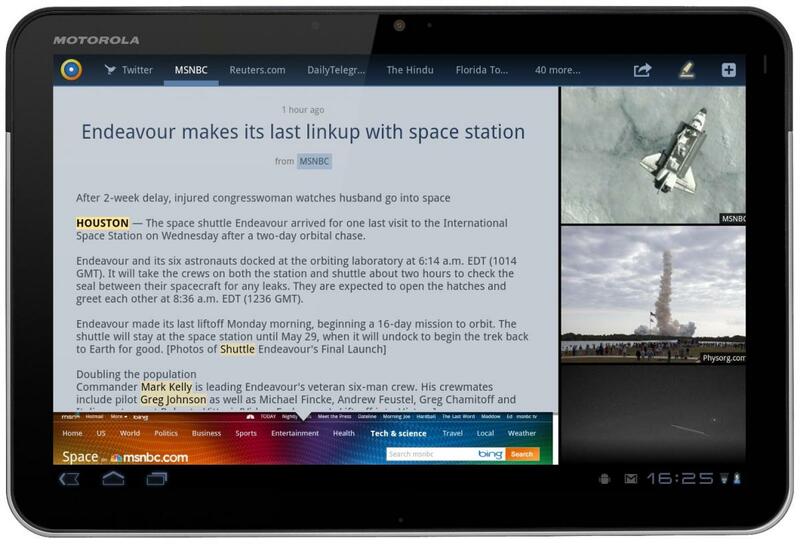 News360, the popular cross-platform news aggregator, is now available for Android tablets running Honeycomb. News360 takes a bit of a different approach, combining 1,500 global sources (yes, Android Central is in there, so no worries) and a beautiful visual style. If you're not familiar, the "360" view is a special treat, with article images floating in a spherical feeling cloud, hence the 360. The application makes great use of the new API's with the action bar and fragments, both in the search view as well as the article view. The developers have taken the time to really make a great example of a quality Android app, and we appreciate (and enjoy) that. Besides the normal use of searching for tags, users can customize their own "feeds," and the developers say that future versions will analyze a your Facebook, Twitter, TripIt, and Evernote accounts to offer automatic personalization. That sounds like quite the feat, and I for one am very interested to see the result. In its current state, the application connects with your social accounts (Facebook, Twitter, ReadItLater, Instapaper, and TripIt) to share articles, and can filter results based on your location. Things are well on the way to a personal news channel. And the best part of it all -- News360 is free. This makes it available for everyone with a Honeycomb tablet, and makes for a very easy way to download and evaluate the app for yourself. We've got the full press release, a series of pictures, and the download link after the break. 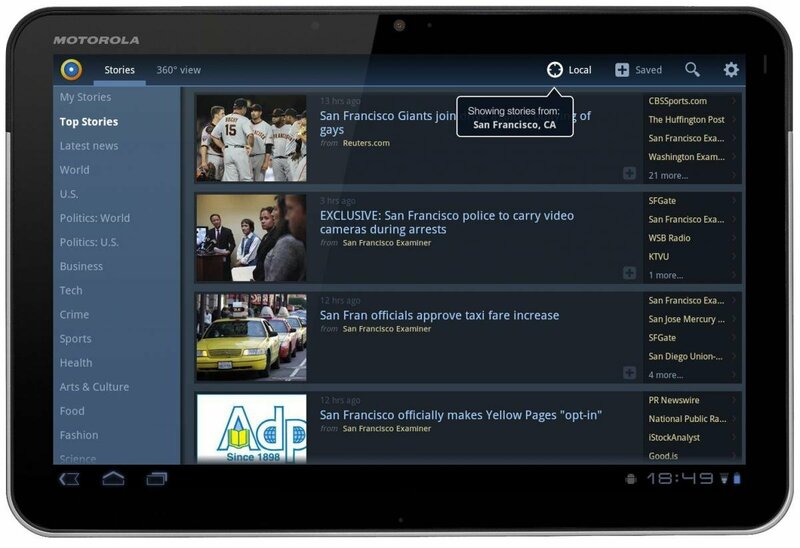 San Francisco, Calif., May 24, 2011 - News360, the next-generation news delivery platform that is changing the way people discover, consume and interpret up-to-the-minute information from the world around them, today launched News360 for tablets running Android Honeycomb 3.0 and up. News360 aggregates intelligent, personalized news from a multitude of sources in an intuitive format in real-time, using advanced semantic analysis and natural language processing technology developed over the last decade. 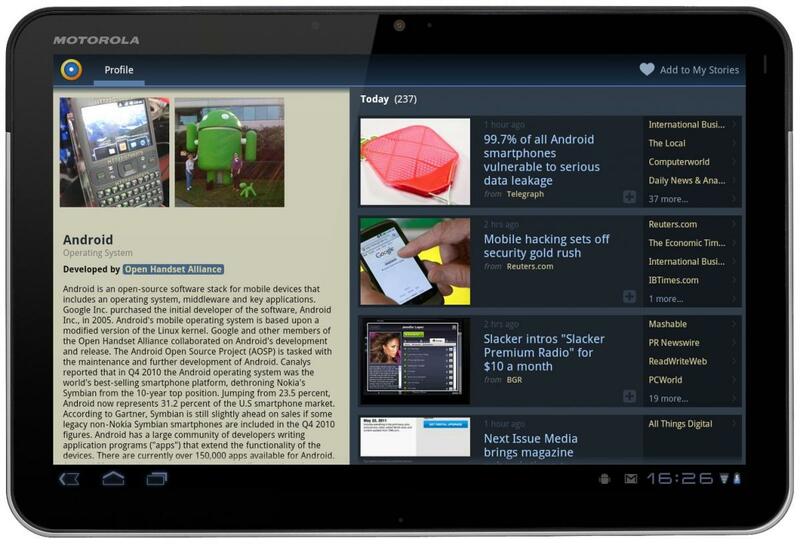 News360 is available as a free download from the Android Market. Android is the latest platform launch for News360. 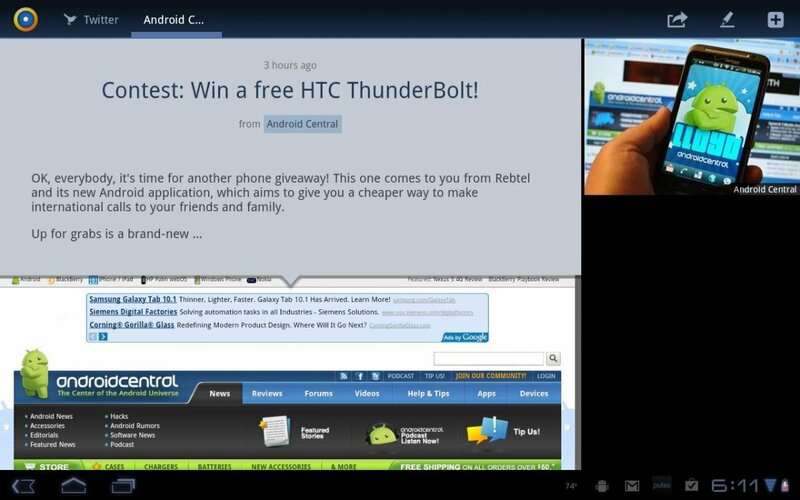 The app is also available for iPhone and iPad, Blackberry Playbook and Windows Phone 7 devices. 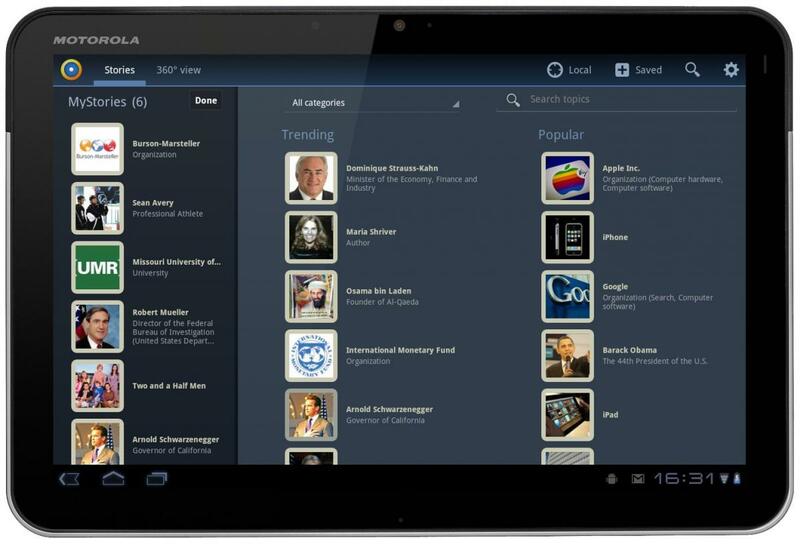 Since News360 for iPad debuted in March 2011, the app has maintained a 5 star rating average on more than 1,300 reviews in the App Store. In addition to top news stories, News360 users can create custom feeds to follow the people, companies and topics that matter most to them. 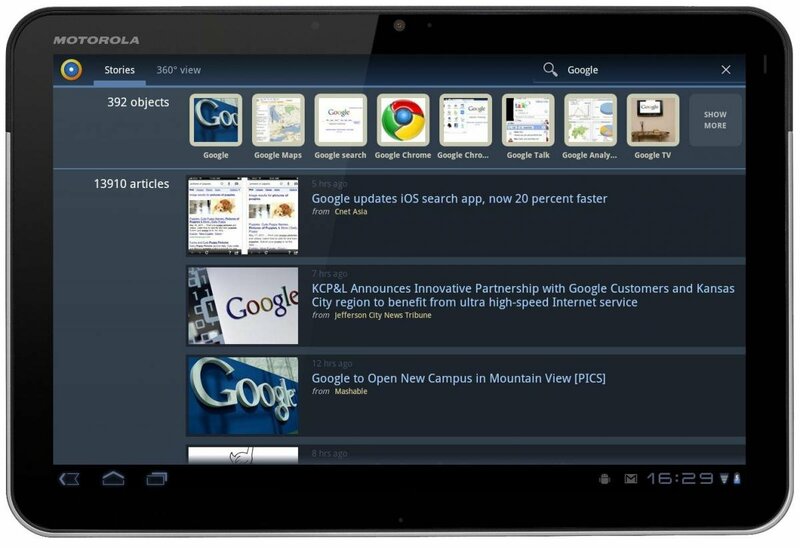 Upcoming releases of the News360 application for Android will include sophisticated personalization features and built-in analysis of the reader's preferences and personal interests, gathered from integrations with Facebook, Twitter, TripIt and Evernote, among others. Automatically generated profiles will enable users to instantly discover the content that is relevant to them with one click of the News360 icon. News360 is a next generation news delivery platform that is changing the way people discover, consume and interpret up-to-the-minute news from the world around them. News360 uses advanced semantic analysis technology and natural language processing to identify the day's top stories from more than 1,500 global sources, analyzed for relevancy and credibility, and delivered alongside personalized newsfeeds tailored to each user based on individual preferences, reading patterns and social data analysis. 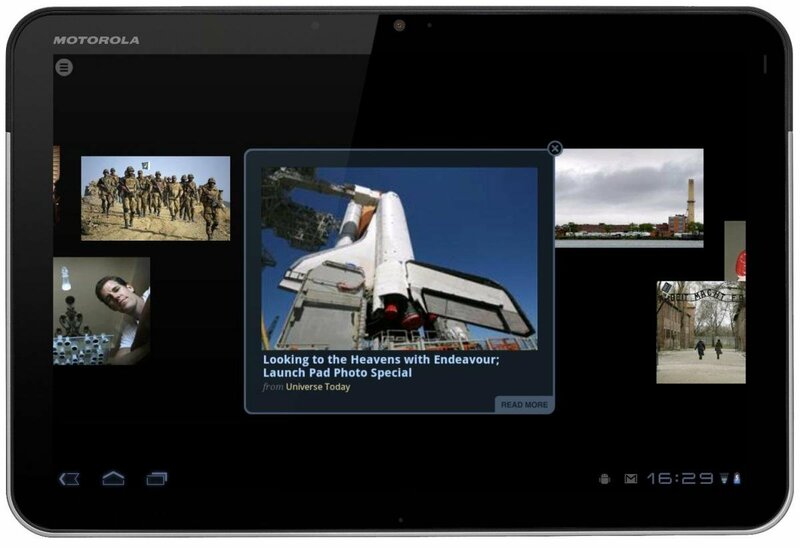 News360 is available for Android Honeycomb tablets, iPhone and iPad, BlackBerry PlayBook tablet, and Windows Phone 7 devices. News360 is privately held. For more information, visit www.news360app.com.